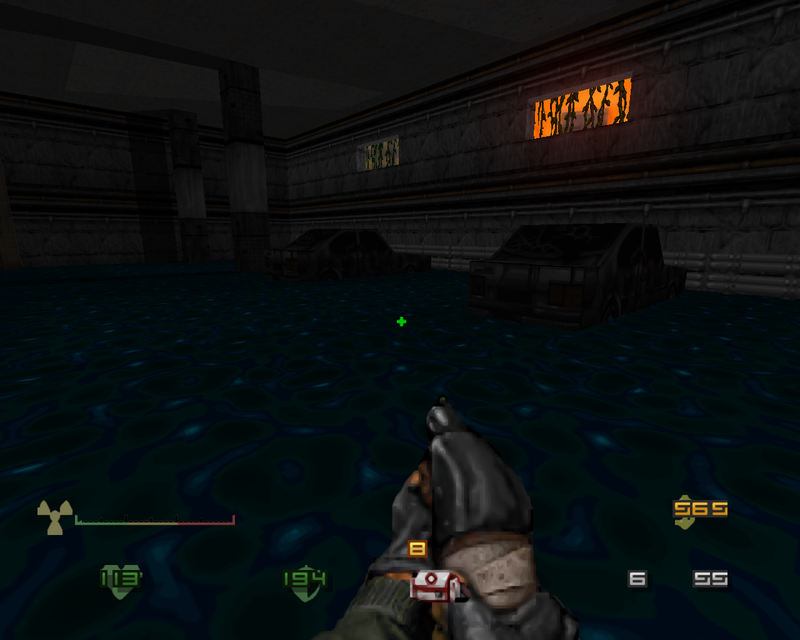 The first episode of the Doom TC post-apocalyptic themed mod Ashes 2063 is out. Discussion in 'NMA News and Information' started by The Dutch Ghost, Sep 29, 2018. 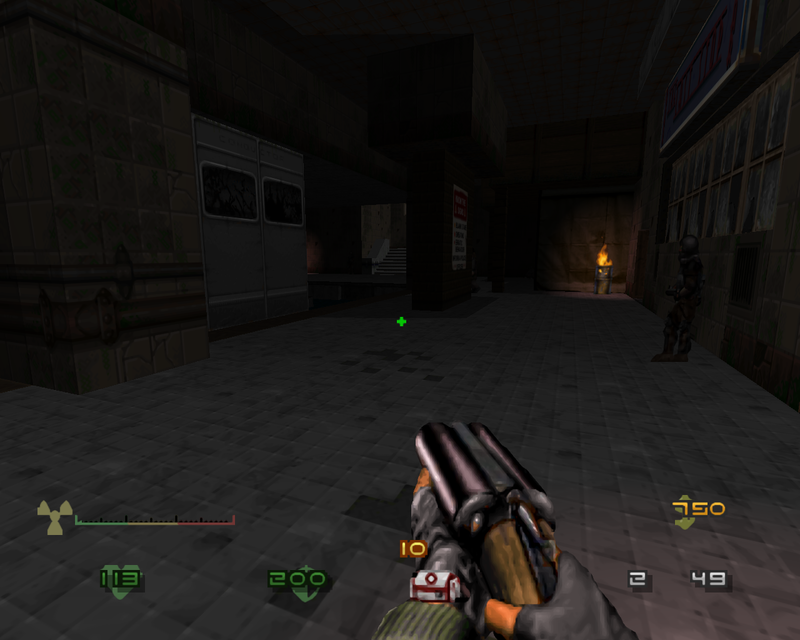 This week a modder by the username of Vostyok released the first episode of a Doom 2 Total Conversion called Ashes 2063. Ashes 2063 takes place in a world were human civilization was destroyed seventy years ago by a nuclear war with the descendants of those that survived eking out an existence among the ruins, having been thrown back to an almost pre war industrial level while maintaining and protecting what working devices, machines and weaponry they still possess or can be recovered. The player assumes the role of the Scavenger, a wastelander who makes a living by exploring the ruins of pre war buildings for useful artifacts and scrap which has now become the currency of post apocalyptic society. During their latest venture the Scavenger finds a radio that still work and picks up a mysterious transmission of a woman's voice that repeats a number sequence. A delivery mission by the Scavenger's main buyer sends the player to the City, a pre war metropolis that wasn't completely leveled during the nuclear war but since then has suffered from the elements and decay. It also happens to be the location where the repeating radio transmission is coming from. 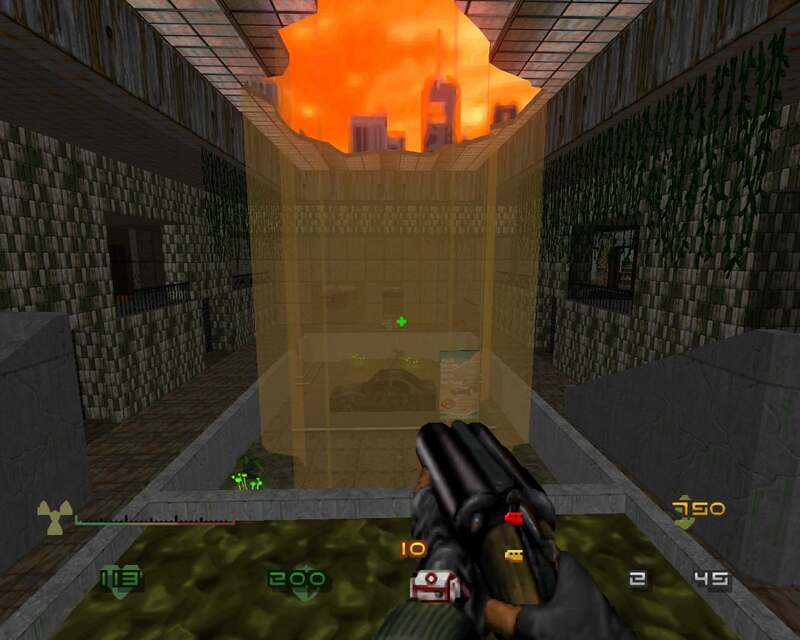 Befitting a Total Conversion almost everything of Doom 2 has been modified or replaced to fit the setting. Instead of futuristic bases and fortresses and dungeons in Hell the player has to travel a badly weathered road that has partly collapsed in a dried out and dusty countryside. A half submerged pre war police station now used by raiders. A metro line and sewer system with various obstacles and dangers, and the inner city during a radioactive dust storm. 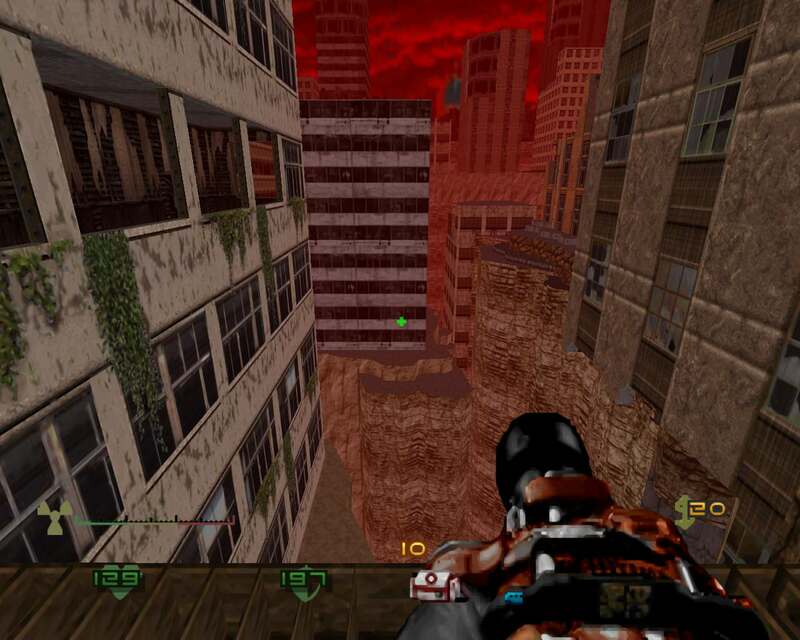 The world resembles a lot like the one in Duke Nukem 3D, but after the bombs fell. 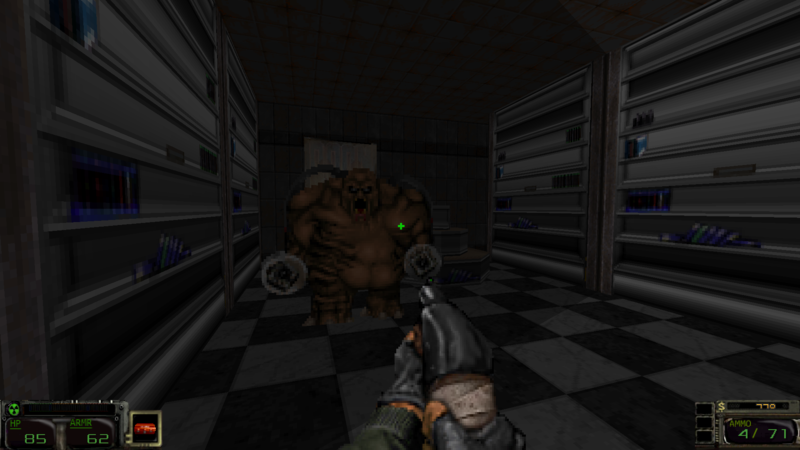 Standard Doom enemies such as zombie marines, imps, and pinkies now have made room for raider gang members and various types of mutants, each with their own type of attack. Some of these clearly degenerated from human stock while others have more unclear origins. The world is not devoid of non hostile NPCs however. 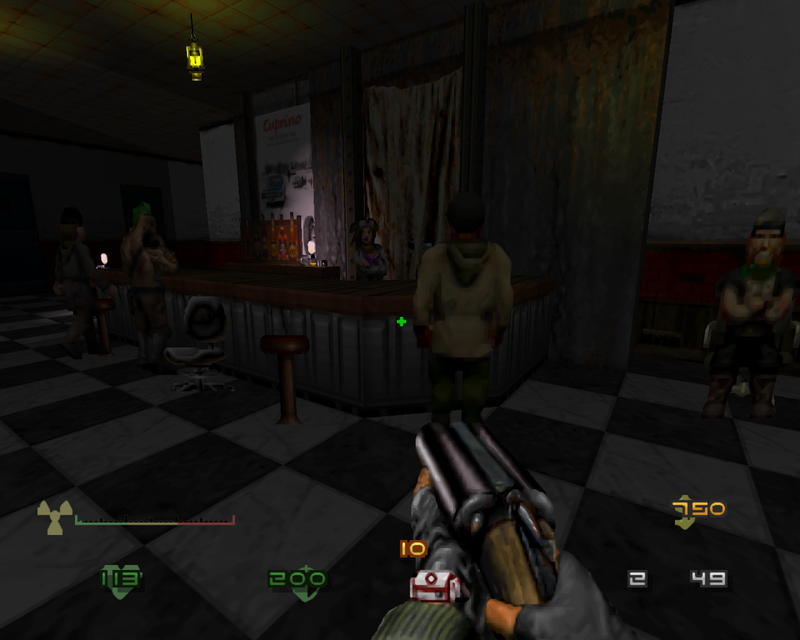 The player can talk with fellow wastelanders to get more information for their quest or just background information while traders and bar owners will sell the player weapons, munitions, food, medicine, and drugs. With a Post Apocalyptic theme also comes appropriate equipment for the player. Two types of pistols, two types of shotguns, an Uzi with a silencer, a portable pile driver for close combat. Wasteland engineers have also been able to whip up weaponry from salvaged parts such as a musket that works like a sniper rifle, a home made flame thrower, and pipe bombs to throw into groups of gathered enemies. And should munition run out the player can always turn to their crowbar and boot knife. Don't expect this to play like Doom though. Directly confronting a mob is often deadly for one's health and preservation of munition and supplies is key in the game. Also helping to set the mood is a rocking soundtrack that includes 80s style synth music with each level have their own standard track and a track when things are about to get tense (encountering a big enemy or having run into a trap). There is even some voice acting in certain parts of the game. People who enjoy story and exploration driven FPS/action-adventure games such as Deus Ex, STALKER, Fallout New Vegas, and the Doom engine driven Strife will feel right at home with this total conversion and it should at least take them an afternoon to get through the episode. Longer if they hope to find all the easter eggs including a couple of references to PA themed movies and the secret level. 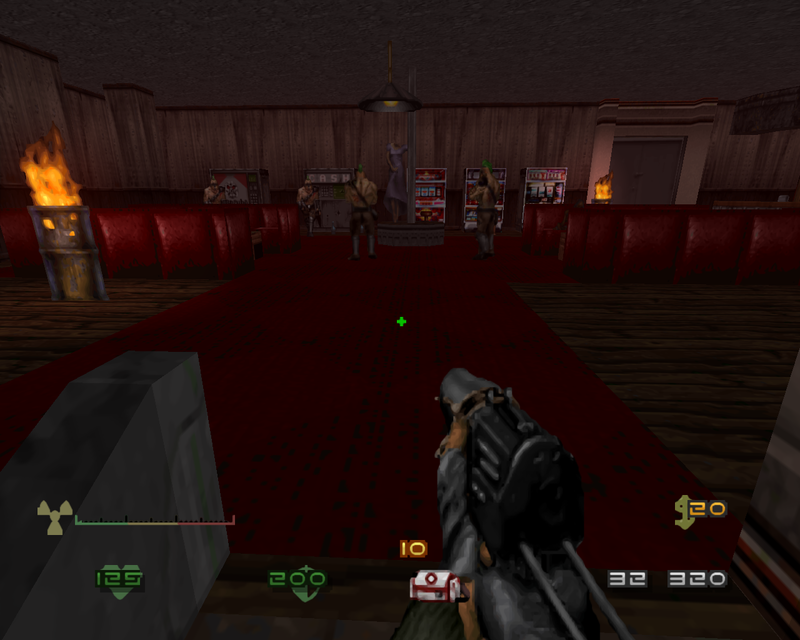 So if you have a copy of Doom 2 and a zdoom port such as Gzdoom, follow the link below for further information and where to download the game and get ready to explore a new wasteland. The lack of interface during the video got me worried. Seems pretty cool so far. Not easy, though. This thing is pure awesomeness. 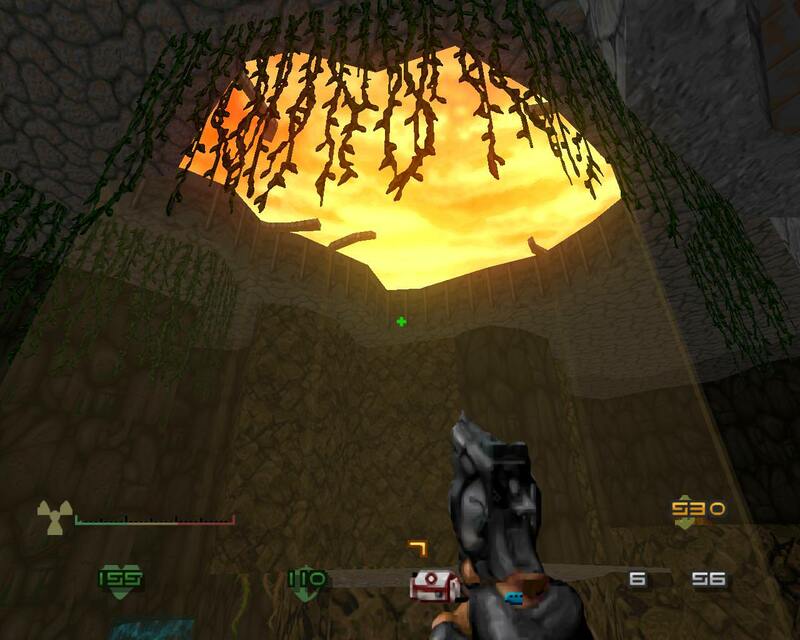 They took the best parts of Duke 3D level design and put some rock solid PA atmosphere on top. Funny how I always dreamed about first-person game in Fallout universe and somehow Bethesda's takes on this didn't satisfy me. This however, though not having any open world or RPG elements, captures true PA atmosphere more precisely IMO.